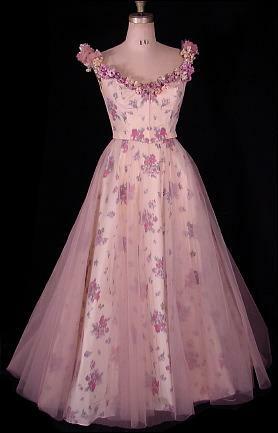 #2574 - c. 1953 HELEN ROSE Gown for BILLIE BURKE for MGM movie "Small Town Girl". Tagged with MGM Label and Billie Burke's Name! 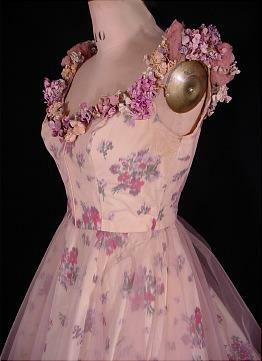 This is the original costume gown worn by Billie Burke in the last Major Film of her career as Mrs. Livingston in the MGM movie "Small Town Girl". 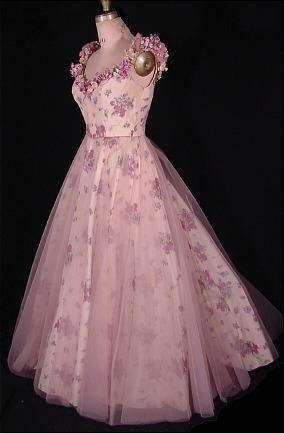 The gown was designed by Helen Rose - Academy Award winning MGM costume designer - and also known as the designer of Princess Grace's Wedding Gown, etc. Ms. Billie Burke is best known for her role as "Glinda, the Good Witch of the North" in "The Wizard of Oz"... and for those who care... she was also Mrs. Florenz Ziegfeld as in The Ziegfeld Follies. This gown doesn't come with COA, but was purchased at the Harvey Clars auction house 1-7-01, Lot #1026, so you can likely get all the info you need from them... or if you can find the movie to rent... that should do! I've looked and can't find it for rent, but I see it's available for purchase. Frankly the MGM tag and Billie Burke's name inside is good enough for me! And beside all this, you get a gorgeous gown! 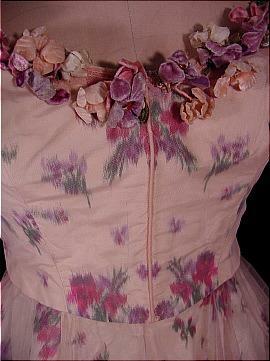 Printed silk taffeta with an overlay of rose organdy (or organza - I still don't know the difference!). 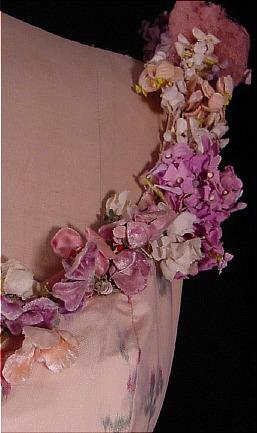 Fabulous millinery floral work around the neckline. Condition is Good. There are some areas of weakness in the taffeta in the skirt underlayer and under arms, but the overlayer hides this to some extent. 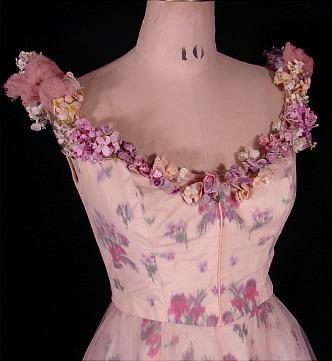 There are a few flowers missing near the back, but all-in-all amazingly good condition for a hollywood memorabilia gown likely hanging around in the costume department warehouse for decades. 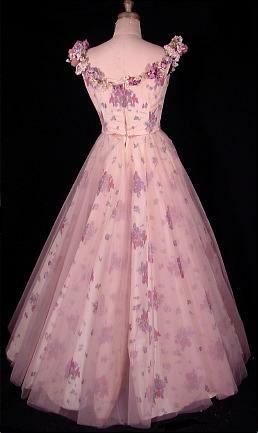 Measures: 35" bust, 25" waist, 43" long skirt from waist to hem. Breathtakingly beautiful... just what you'd expect from the Good Witch of the North!